I know Jesus walked this earth. He lived and breathed just like us. When it comes to normal human emotions, it is sometimes hard to imagine Jesus feeling what we feel. But He did. Jesus wept (John 11:35). I always pause after reading those two words. Think of a time when you were moved to tears, not from your own pain but from someone else’s pain. Jesus knew he could raise Lazarus, he could easily raise Lazarus. He didn’t weep from hopelessness, and that makes His tears much more powerful. Feeling the pain of others always is powerful. I am one who frequently cries for other people. I feel a yearning to help even when I know I cannot. I cry tears of love mixed with tears of hopelessness for not being able to take their pain away. For Jesus though, it was just His love that moved Him to tears. He lived for us. 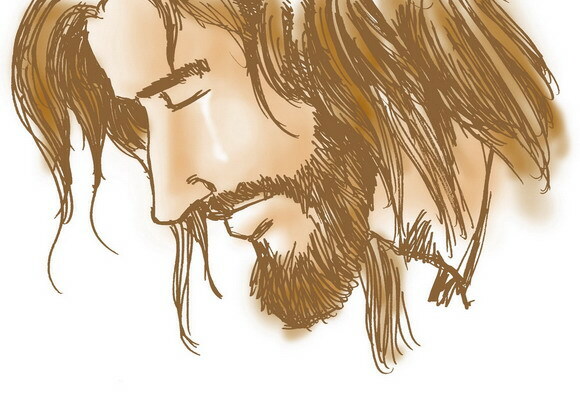 He wept for us. He died for us. All because of His love for us. Previous Article Stir Crazy Momma! Those two words always hit me so strongly when I read them too. It’s such a human moment for our Lord. God Bless!